consideration for homebuyers looking to finance a new home purchase with a mortgage loan. Other factors also involved include collateral, principal, interest, taxes and insurance. The collateral on a mortgage is the house itself, and the principal is the initial amount for the loan. Taxes and insurance vary according to the location of the home and are usually an estimated figure until the time of purchase. Each mortgage rate is determined by the lender and can be either fixed, staying the same for the term of the mortgage, or variable, fluctuating with a benchmark interest rate. A mortgage rate may vary for borrowers based on their credit profile. Here is a snap shot of the daily mortgage rates as of today, Monday, November 12, 2018. While the rates shown are not guaranteed for everyone, this gives the average buyer a good idea of what their rate should look like. We always recommend you speak with your local realtor to find the best loan program for your Orlando Home purchase. 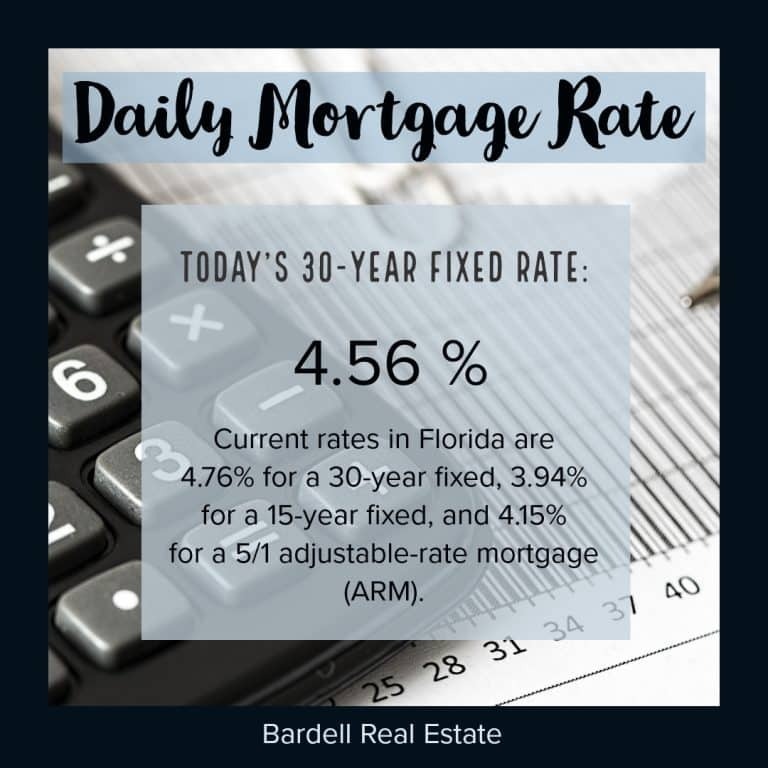 Take advantage of these mortgage rates now before it changes, contact us today by clicking on this link or by filling out the form above!